Do you come up in google, yahoo, bing or other search engines? Philex's team of engineers can help make your site found by optimizing your site or doing Search Engine Optimization (SEO). In plain terms Search Engine Optimization (SEO) is teaching search engines, and facilitating them to deliver qualified prospects to your website by featuring you in a search. This involves creating meta tags, title tags, alt (image) tags, a site map and cross links. 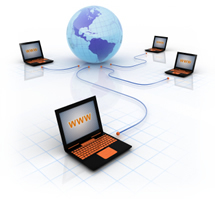 This strategy involves cross linking your site to other relevant sites. When done ethically this establishes a higher page ranking and increase your search engine position. This involves using 3rd party sites such as word press, blogger, twitter, facebook, as well as press releases. We write, optimize, and prepare content that helps make your site better known. We then distribute this content using other avenues such as press releases, widgets, videos, and more. To ensure your success we provide reports from google analytics. From here we show you trends, charts search engine terms.